The ACT Government has announced that appropriately trained community pharmacists will now be able to administer the flu vaccination and the whooping cough (Pertussis) vaccination to people aged 16 years and over. Previously the age restriction was 18 years and over. In addition, ACT community pharmacists will now have access to the influenza vaccine listed on the National Immunization Program for those aged 65 years and over. 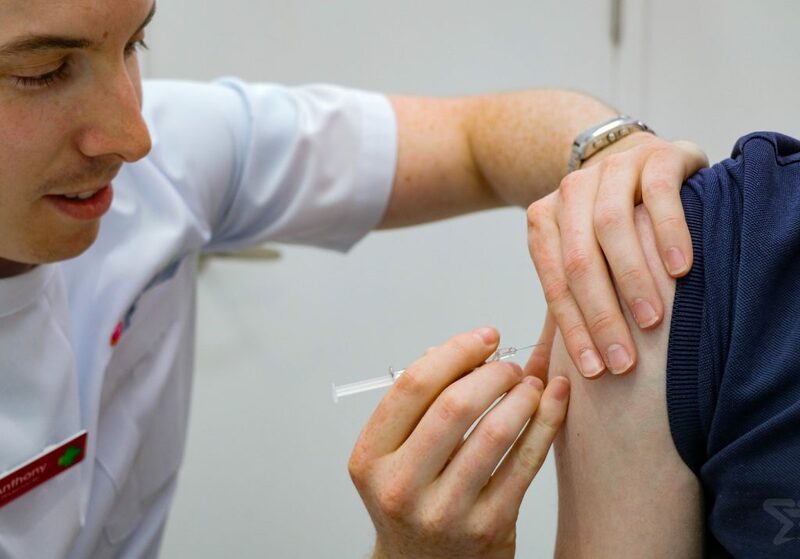 Simon Blacker, ACT Branch President of the Pharmacy Guild of Australia, said the new arrangements would help to ensure greater flu vaccination coverage for ACT residents. "Community immunity is a critical factor in protecting the wider population against the flu, and easier access to vaccinations is a very positive step, "Mr Blacker said.
" Also having access to influenza vaccines under the National Immunization Program will ensure more people have vaccinations. "Previously these were only available at GP clinics but now people can have easy and fast access through their community pharmacy. "Community pharmacies are highly accessible in terms of their opening hours and locations and there are minimal wait time s in most cases. " 83 laboratory confirmed notifications of the flu in the ACT this year.
" Getting immunized is critical to protecting yourself, and others in the community, against the flu, "Mr Blacker said.
" While there are people at high risk of the flu, including those aged 65 and above, the flu can strike anyone, even the young, fit and healthy. In fact, one-in-four people who are hospitalized with the flu have no underlying medical condition. "Influenza is a potentially fatal disease that is estimated to cause more deaths than accidents on Australian roads: between 1500 and 3500 deaths per year. "Experts estimate that influenza in Australia causes more than 18,000 hospitalisations and 300,000 GP consultations per year.
" Going to your community pharmacy for your flu shot as soon as possible makes good sense and the new arrangements make it even more accessible. "